Hello lovelies! I received a beaut box of Tetley tea goodies last week and it couldn’t have come at a better time – it’s been a hectic few weeks with midweek flights to other cities, early mornings and late nights and i came home on Friday night with a scratchy throat and miserable sick children! Let’s just say the weekend was long and it wasn’t just Charley and Ava who were whiny and snivelling! Now, when it comes to tea, i am not a big drinker. I only started drinking a few cups here and there a few years ago but lately i’ve noticed more and more of my friends are talking about green tea. Tetley Green Tea Mint is great for settling tummies and add a dash of honey to the Lemon flavour and you’ve got a wonderful morning wake-me-up drink – i was sent the Apple variant to try which i was thrilled about – because it reminded me of the teas in Turkey and i’m headed there in 2 months time. These flavoured green teas are the ideal way to up my water levels but here’s the bonus – it’s good for you! In Asia, Green Tea has long been loved as a cure for all ills – and no wonder, it’s crammed full of antioxidants, is said to aid with fat loss and lower cancer risk – i’ll drink to those advantages especially the fat loss prior to my boat holiday! The experts are saying that you need 3 to 5 cups a day to reap the rewards – so time to get that kettle going, people! Tetley Tea is the newest tea in the Tetley family – they’re the tea with the biggest teabags in the South African tea biz! 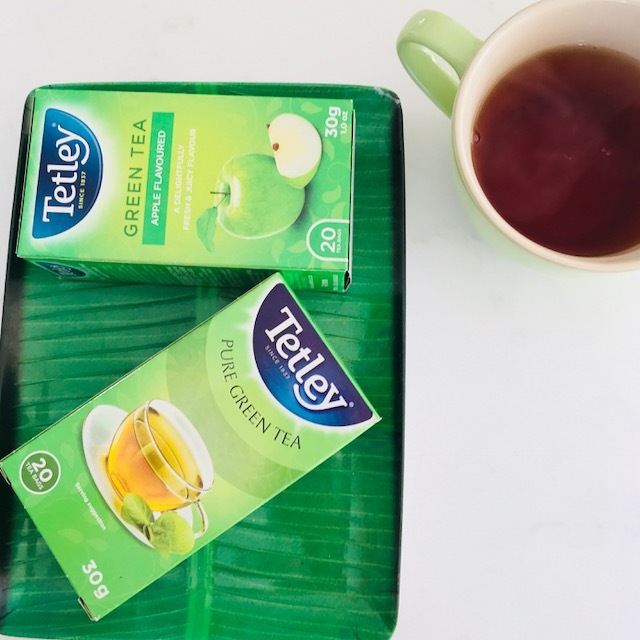 They launched their new Green Tea variants last week – Mint, Lemon and Apple – perfect for people wanting to get their anti oxidants in while enjoying a refreshing green tea too! 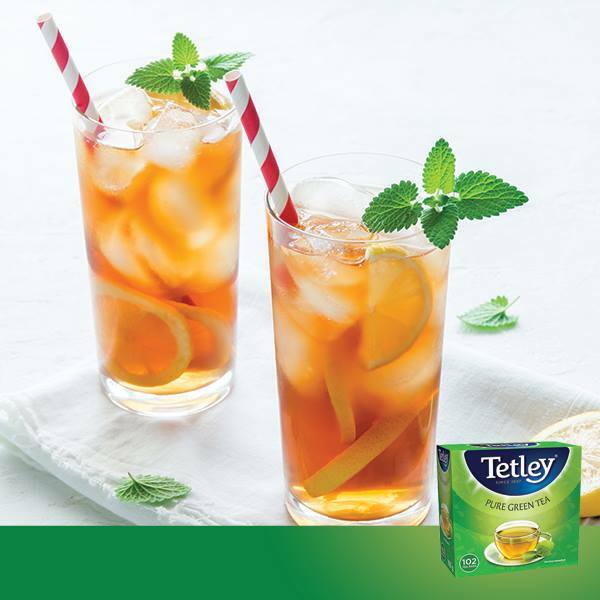 In a tall glass, drop in a Tetley Pure Green teabag, pour in hot water and let it steep for 5 minutes. Remove the teabag, stir in a teaspoon of honey, a shot of vodka, slices of lemon and sprigs of mint. Full your glass up with ice and enjoy! 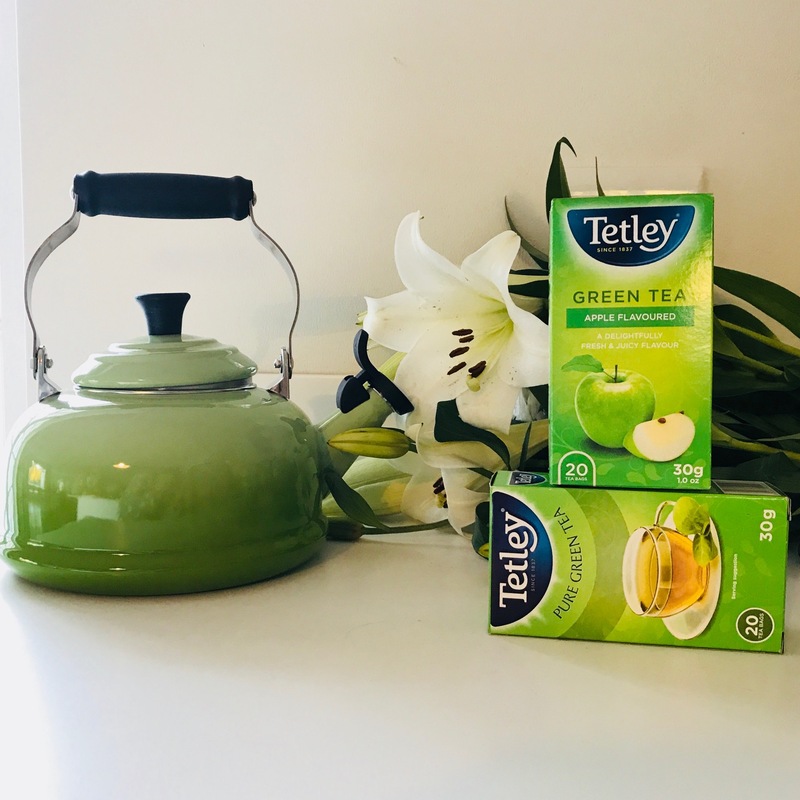 WANT TO WIN A TETLEY GREEN TEA HAMPER & A LE CREUSET WHISTLING KETTLE? Leave a comment on Facebook or Insta to say which flavour you fancy – Apple, Lemon or Mint? And remember to leave a comment saying where you’ve entered below. WIN a Valentine’s Lindor Picnic Hamper worth R1500! Entered and optimistic – just what is required to stay healthy this winter! I fancy the Lemon flavour and I entered on ‘I Want That’. Entered on Facebook! Would like the lemon flavor please! I entered on: Tetley Tea on Facebook, I Want That on Facebook and Insta, as well as Ask Ashe and the Lovilee blogs. Fingers crossed!!!! My dream item from Yuppiechef and the best colour!